“Canidae® Pet Food Corporation” was launched out of a Southern California feed store in 1996. For the past twenty years Canidae® has been a independent and family owned business. John Gordon and Scott Whipple are the co-founders and co-owners of Canidae® Pet Food. Ed Cooper is the Vice President of operations. Where are Canidae dog food products manufactured? Canidae® headquarters is located in San Luis Obispo, California. Their products are manufactured in the United States. In 2012, the company built a new research and development centre called “Ethos Pet Nutrition” based in Brownwood, Texas, where they also manufacture most of their products. The company choose the word “Ethos” because it represents ‘character, honesty and integrity,’ which is how they want to be recognized. Although Canidae® still owns their own dog food products, in 2005 they started outsourcing their grain free dog and cat kibble to Diamond Pet Foods’ manufacturing facility. “Diamond Pet Foods Inc.,” which manufactures a few of the Canidae® products, was founded in 1970, and its headquarters is based in Meta, Missouri. Canidae® dog food formulas include grain free recipes with seven to ten easily recognizable ingredients, such as fresh meat and fish, sweet potatoes, peas, lentils, or chickpeas, to name a few. None of their products contain any corn, wheat, or soy. Canidae® has “Grain Free Pure” formulas, which contain fresh meat, poultry, and fish. They also make “All Life Stages” recipes that contain nutritionally dense meat and fish meals, as well as, “Life Stages” formulas for dogs with specific needs. Their chewy treats and bakery snacks contain everything from kale, quinoa, and butternut squash to cherries, pomegranate and pumpkin. 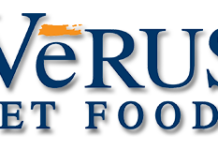 All their recipes are made with fresh meat and whole foods from ranches found on the plains of Wyoming. Their fish is caught in the waterways in the Pacific Northwest. Their lamb is raised in New Zealand, and their duck is from France. The primary ingredients are salmon, salmon meal, menhaden fish meal, sweet potatoes, peas, canola oil, suncured alfalfa, potatoes, plus natural flavour, vitamins, minerals and probiotics mix. Crude Fiber Max. 4.00 % Lactobacillus Acidophilus* Min. 100 million CFU/lb. The primary ingredients are chicken, menhaden fish meal, lentils, peas, potatoes, dried whole egg, chicken fat, suncured alfalfa, and flaxseed plus natural flavour, vitamins, minerals and probiotics mix. Moisture Max. 10.00 % Lactobacillus Acidophilus* Min. 100 million CFU/lb. The primary ingredients are chicken, chicken meal, sweet potatoes, chickpeas, peas, suncured alfalfa, chicken fat (preserved with mixed tocopherols), plus natural flavour, vitamins, minerals and probiotics mix. Acidophilus* Min. 100 million CFU/lb. Formulated for small and toy breed adult dogs. The primary ingredients are bison, peas, lentils, dried whole egg, canola oil, plus minerals, flaxseed, natural flavour, vitamins and probiotics mix. Formulated for dogs in need of weight management. The primary ingredients are chicken, chicken meal, turkey meal, sweet potatoes, peas, chickpeas, potatoes, suncured alfalfa, chicken fat, 9preserved with mixed tocopherols), plus natural flavour, vitamins, minerals and probiotics mix. The primary ingredients are chicken meal, turkey meal, lamb meal, brown rice, white rice, rice bran, peas, potatoes, oatmeal, cracked pearled barley, chicken fat (preserved with mixed tocopherols), millet, tomato pomace, natural flavour, flaxseed meal, ocean fish meal, choline chloride, suncured alfalfa meal, inulin (from chicory root), lecithin, sage extract, cranberries. Formulated for senior and overweight dogs. The primary ingredients are chicken meal, brown rice, white rice, rice bran, peas, potatoes, oatmeal, cracked pearled barley, millet, turkey meal, lamb meal, chicken fat (preserved with mixed tocopherols), tomato pomace, natural flavour, flaxseed meal, ocean fish meal, choline chloride, glucosamine hydrochloride, chondroitin sulfate, psyllium seed husks, suncured alfalfa meal, inulin (from chicory root), lecithin, sage extract, cranberries. Formulated for large breed adult dogs. The primary ingredients are duck meal (source of glucosamine, chondroitin slfate, and L-carnitine), brown rice, oats, peas, barley, white rice, rice bran, chicken meal, chicken fat (preserved with mixed tocopherols), suncured alfalfa meal, lentils, flaxseed, natural flavour, potassium chloride, choline chloride, inulin (from chicory root), lecithin, sage extract, cranberries. The primary ingredients are duck meal (source of L-carnitine), brown rice, oats, peas, ocean fish meal, barley, white rice, rice bran, chicken fat (preserved with mixed tocopherols), lentils, suncured alfalfa meal, flaxseed, natural flavour, potassium chloride, choline chloride, inulin (from chicory root), lecithin, sage extract, cranberries. Calcium Min. 1.00 % Lactobacillus Acidophilus* Min. 100 million CFU/lb. The primary ingredients are chicken, chicken liver, peas, sweet potatoes, suncured alfalfa meal, salmon meal. Formulated for all ages, breeds and sizes. The primary ingredients are chicken, chicken broth, lamb, chicken liver, ocean whitefish, brown rice, eggs, guar gum, sunflower oil (source of Omega-6 fatty Acids), Suncured alfalfa meal. The primary ingredients are lamb, lamb broth, lamb liver, ocean whitefish, brown rice, guar gum, sunflower oil (source of Omega-6 fatty Acids), eggs, dicalcium phosphate, potassium chloride, flaxseed oil ( source of Omega-3 fatty acids). The primary ingredients are chicken, duck broth, duck, dried egg whites, brown rice, pea flour, tricalcium phosphate, lentils, cassia gum, carrageenan, potassium chloride, guar gum, salt. Formulated for large breed adult puppies. The primary ingredients are chicken, duck broth, duck, dried egg whites, brown rice, pea flour, lentils, potassium chloride, guar gum, salt. According to the U.S. Food and Drug Administration (FDA) listings, there was one voluntary recall of Canidae® Pet Foods on May 5, 2012. 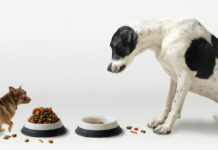 The company recalled four of their dry dog food formulas manufactured between December 9, 2011, and January 31, 2012, after being notified by Diamond Pet Foods regarding the presence of Salmonella at its facility in Gaston, South Carolina. 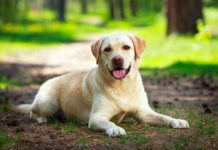 Although the Canidae® dog food products had not tested positive for Salmonella, they voluntarily initiated a recall out of caution to ensure the health and safety of consumers and their pets. Although the inspection at Diamond’s Gaston facility did not trace any salmonella in the Canidae® products, there was Salmonella detected in a bag of dry dog food produced by Diamond Pet Foods. Canidae® is still a family owned and operated business, however it is unknown at this point whether, or not, they are still outsourcing some of their products to the Diamond Pet Foods manufacturing facility. As of 2012, there was proof that they were still using Diamond’s facility because of the recall, but so far there has not been any updated information. Hopefully, they presently are, or will soon start using their own new facility to manufacture all of their products, as they never had a recall before they started outsourcing some of their products to Diamond. Overall, Canidae® dog food appears to be a nutritious choice. The formulas are holistic and packed full of healthy ingredients. Keep a watchful eye on all Diamond Pet Foods Inc. recalls, in case any Canidae® products are included on the list.